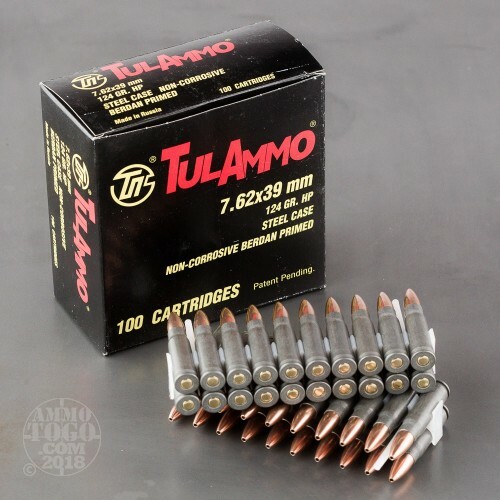 Your AK or SKS will eat up this 7.62x39mm ammunition from Tula, which is why it comes in a 1,000 round case that will push your per-shot cots way down. 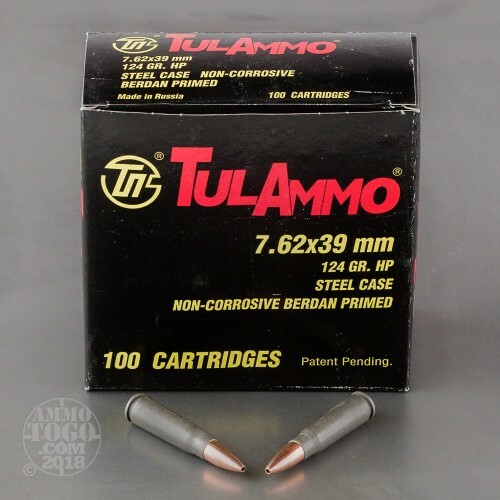 These cartridges fire a 124 grain hollow point bullet and can be used for both target shooting and inexpensive hunting. 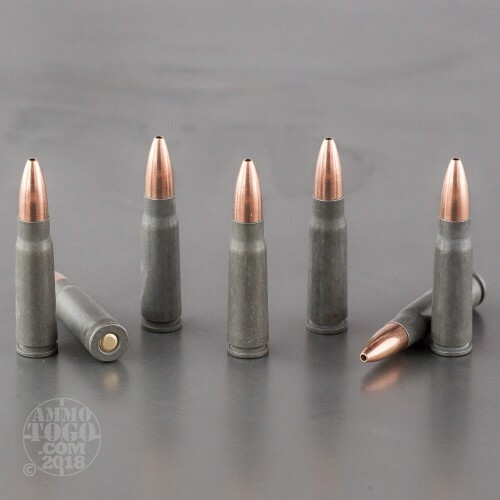 They are loaded in Russia using non-corrosive Berdan primers and non-reloadable polymer coated steel cases. 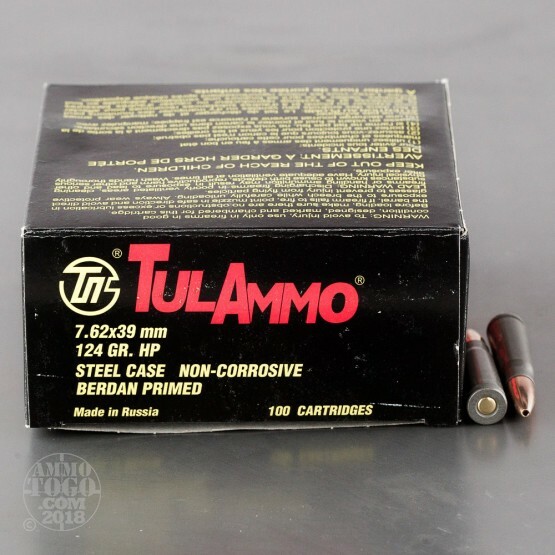 Great ammo and feeds better than any I have tried on an AK!